The 2015 vintage has been touted as a great year for Yarra Valley Pinot Noir and Chardonnay. 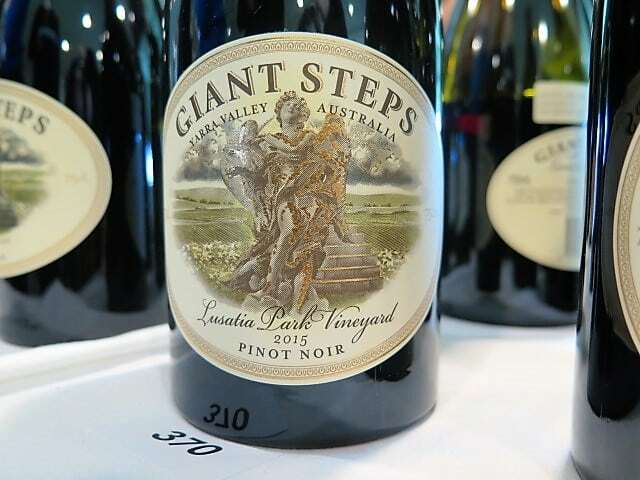 Giant Steps has proclaimed it the best yet, so I was looking forward to tasting the latest releases at Liberty Wines’ tasting this week. Did they deliver? Excellent though the Chardys were, the Pinots were just knock out. You’d be hard pressed to find a more joyous bunch of serious, terroir-driven Pinot Noirs for little over £20/bottle. 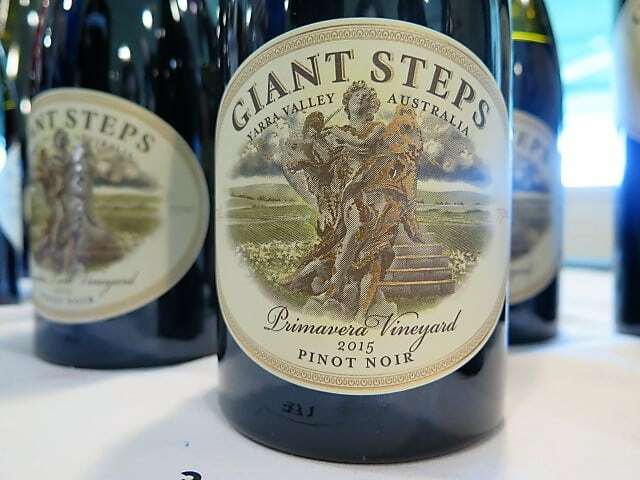 I’ve already taken advantage of Oz Wines’ “Killer Giant Steps All Red 2015” case offer, which includes 4 bottles of each Pinot for £259 (NB this deal ends after this weekend). I love how different they are, with a clear arc of evolution to follow in terms of which cuvée to drink when. So why are the ’15s so good? Head Winemaker Steve Flamsteed – Gourmet Traveller Wine’s Winemaker of the Year 2016 – cannot remember a year where good yields were matched in harmony with such pristine fruit quality. According to Giant Steps’ vintage report, lovely winter rains and a wonderful spring resulted in a good even fruit set. This was followed by ideal summer growing conditions, with an average January temperature of 27.5°C. A welcome rain event in mid February refreshed the vines and the Pinot Noir was hand picked in near perfect condition with lovely flavours and sound acidity. 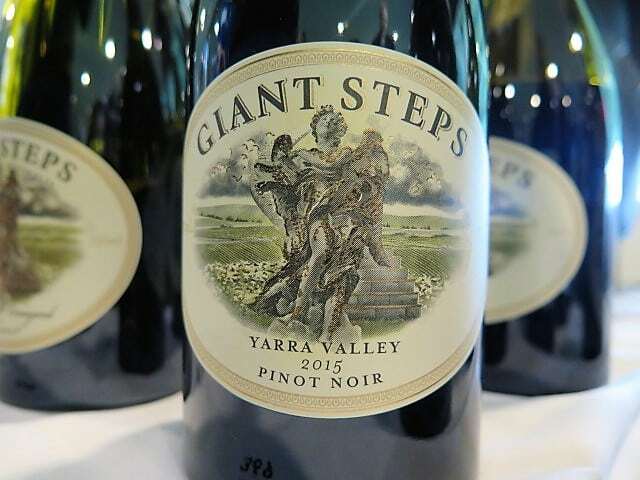 Being a grower in the Yarra is important too where, observed Sexton, “fruit is in short supply.” In fact, though most fruit will be home grown, to secure top notch grapes he is not averse to fruit swapping – a growing practice in the valley. 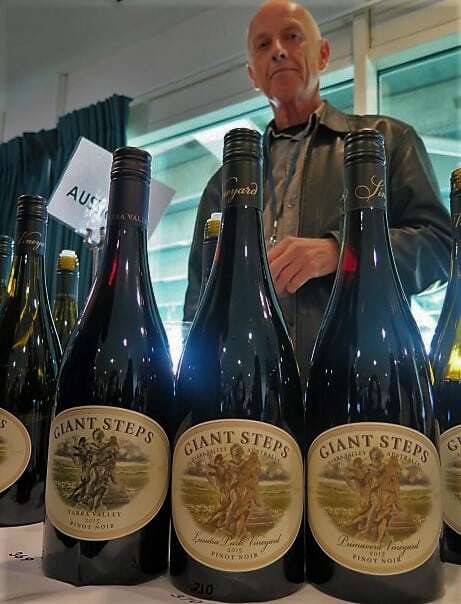 It enables Giant Steps still to source grapes from the Gladysdale vineyard (now owned by Treasury Wine Estates), which it exchanges for grapes from Sexton’s Applejack vineyard. Another route to fruit is a spot of contract winemaking, for which part payment is in those oh so sought after grapes. 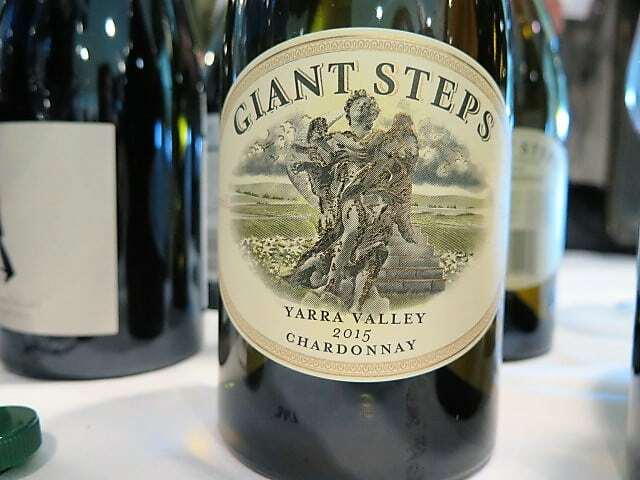 By the way, in case you’ve ever visited Innocent Bystander’s buzzy winery/cellar door/bakery/brewery/restaurant in Healesville, rest assured, it has been re-badged Giant Steps. 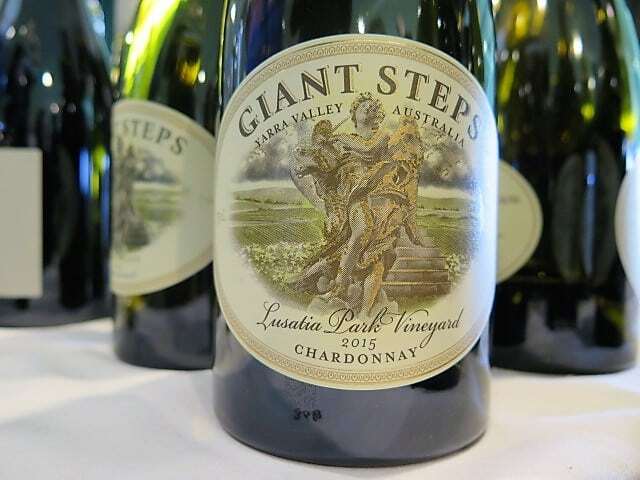 In 2015, Giant Steps produced its first Chardonnay and Pinot Noir made from a blend of estate vineyards. In common with the single vineyard range, they are naturally fermented with no sulphur addition in the (gravity-fed) winery other than a minimal dose at bottling. Fruit for this wine was sourced from the Sexton, Tarraford, Applejack and Jobling estate vineyards. The hand-picked fruit was fermented and aged for 11 months in 500 litre French oak puncheons of which (20% are new and 80% older oak). No malolactic fermentation took place; lees stirring was carried out for around two months. It’s a complex Chardonnay with attractive gently nutty oxidative notes and cashew nuances to its juicy apple and white peach fruit. Long and textural. Retains a bright core of fruit and acid. 13.5% £19.99 at Oz Wines and Noel Young. Fruit for this wine is sourced from the estate vineyards: Tarraford, Sexton and Applejack. The fruit was 100% hand-picked and fermented in 4000 litre open oak vats. Rack and return takes place by gravity and some light hand plunges are carried out. The wine undergoes 100% malolactic fermentation and was then aged for 11 months in (25%) new and used French puncheons. The wine was bottled without filtration. 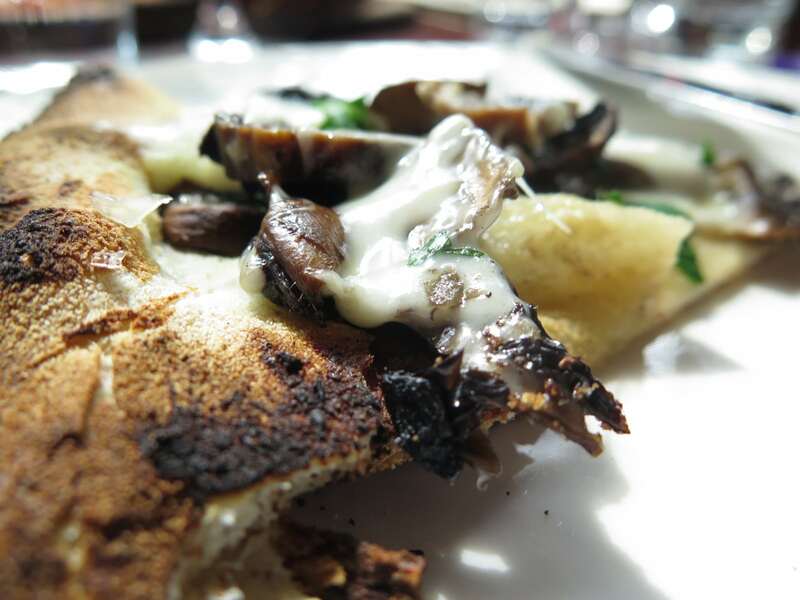 This wine is easy going in the nicest possible way – open-faced and generous with a guileless charm. With delicious sweet, perfumed milk chocolate-edged red fruits from tip to silky toe, it bursts with joyous energy and is sure to put a smile on your face. Raring to go. 13.8% £19.99 at Oz Wines and Noel Young. Incidentally, Oz Wines will host a portfolio tasting on the afternoon of Saturday May 13th at The Lansdowne Club in Mayfair. Customers can mix up a case (12) on the day for delivery after the event. There’s a special 10% discount available on any wines ordered on the day. Tickets, which cost £31, don’t go on the website until February 1st so it is best to call 0333 700 1832 for details or email mark@ozwines.co.uk. Heads up – if you order before the end of January, tickets are only £29 each.